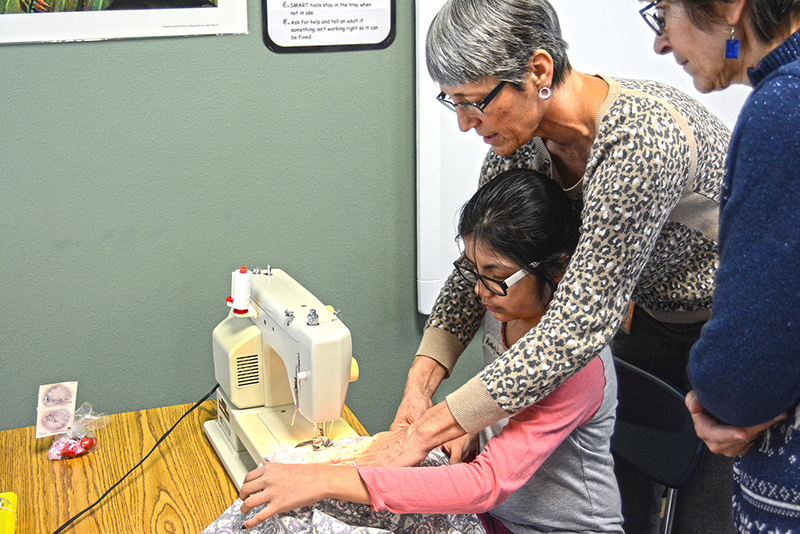 Cummings Elementary School fifth graders are sewing their way to outdoor school. All 77 students made pillowcases to be sold for $10 to their own parents when they attend the school’s choir concert on Thursday, March 2. “Rather than selling candy, they decided to do a project where the kids learn a skill at the same time they are doing a fundraiser,” Cummings Principal Martina Mangan said. Each kid chose their own fabric, more than half of which was donated by The Cotton Patch in Keizer. Another local business, Bernina Stretch and Sew Fabrics, gave pins and thread. The fifth graders are going to outdoor school on May 8-9, spending the night in cabins at Canyon View in Silverton.